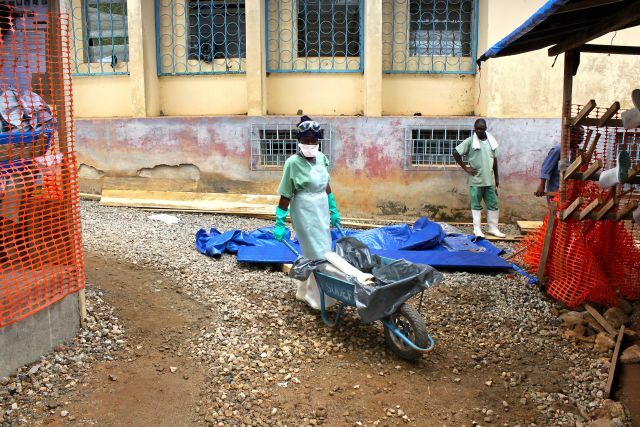 UNITED NATIONS, Apr 16 (IPS) - The international humanitarian charity Oxfam is calling on the World Bank and major donors to raise 1.7 billion dollars to improve poor health systems in Ebola-affected countries and strengthen community networks for preventing another epidemic. Winnie Byanyima, executive director of Oxfam International, said, "Communities pulling together has been vital to cutting Ebola infection rates But in order to be effective these networks need to work within a strong national healthcare service that is freely available to all people." In light of the World Bank's talks on Ebola, set for Apr. 17 as part of the bank's annual spring meetings in Washington DC, the focus is on the need to create a 10-year investment plan for free universal health care to ensure that countries are able tackle future disease outbreaks. Byanyima said that, "The rise of stronger new community networks offer greater space for local people to be involved in decision making, but they have been excluded from recovery planning," adding that this attitude should change, and donors should insist on engaging more with communities.